Olympus Technologies believe in providing bespoke high quality technical solutions for our customers, and continuing to support those solutions through long-term after sales support and service. As well as our own products, we work closely with a number of high quality European manufacturers. 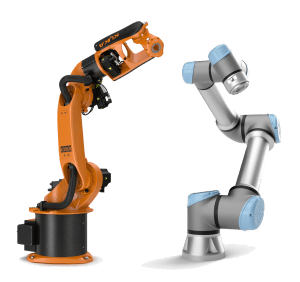 Olympus Technologies is a system integration partner for Kuka and Universal Robots. We supply Dinse, Lorch, OnRobot, SensoPart, Kjellberg plasma cutting machines and Kemper fume extraction systems into the UK and Ireland markets. We provide sales and service for ESS Welding Machines, Olympus MIG welding machines and Reis Robotic systems. For customers local to Huddersfield, we are your local agent for BOC Industrial Gases and Calor Leisure Gases and have a Welding Supplies Trade Counter.